The Pentagon has just released a document that confirms that self-governed, autonomous weapon systems will kill targets, including civilians, based on tweets, blogs, videos, and Instagram; thereby ‘weaponizing’ and using our social media against us. 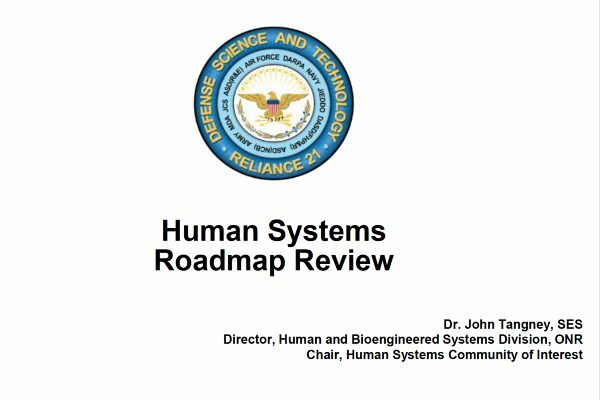 The document is a 53-page presentation prepared by HSCOI chair, Dr. John Tangney, Director of the Office of Naval Research’s Human and Bioengineered Systems Division, titled “Human Systems Roadmap Review” and was presented at the NDIA’s Human Systems Conference in February 2016. The presentation reveals that the U.S. military is creating Artificial Intelligence (AI) autonomous weapons that use predictive social media analytics to form decisions on lethal force. A sort of swarm based technology operating on the hive-mind platform. They justify their approach by claiming that there is a “meaningful” degree of human control over these “self-governed” weapons, though many feel it is not enough. The problem is one can’t help but think that maybe this is why the NSA has been gathering mass data on us all along? Is their collection all about enslaving us to the global AI system whose purpose it is to “Master the Human Domain”? After all that’s what Jade Helm 15 was all about. Are we already being ‘categorized’ and labeled a ‘threat level’ to the government via these AI driven systems, a sort of pre-crime division? Page 28 reveals “brain computer interaction” with humans. Page 48 reveals their plan to exploit Social Data. They plan to “evaluate/engage social influence groups in the op-environment to understand and exploit support, threats, and vulnerabilities throughout the conflict space” and “extend capabilities for forecast, rapid planning and real-time situation awareness of human activities/ behaviors and intent to operators.” As well as deliver capabilities that use “predictive, autonomous analytics to forecast and mitigate human threats and events” using our social media as their platform. NextUnprecedented Demonic Outpouring Now In The News—Is God Done With America? VERY BAD DAY On November 4th—EMP Drill Held Same Day As Antifa Uprising… Coincidence?! Found out about this 6 months ago. Where you been? They’re much further along than you realized too! All this talk about this marvelous future humanity is going to create. What a lie! A high tech weapon that could generate an earthquake or an explosion just underground, like the one that occurred in North Korea, has built-in plausible deniability because people would think it was an “act of nature” or an “act of God”! Same for any type of weapon that can alter the weather causing it to flood, or cause a drought, or cause a fire, enhance a storm, etc.. Who was it said they were going to “Own the Weather” by 2025? What you want to bet they’ve already developed this technology? Wouldn’t artificially created events like an earthquake, or a flood, or severe storm, or a drought, or causing buildings to turn to dust, or bringing fire down from heaven, for example, be considered “lying signs”? There are a whole lot of individuals on the Internet who create video’s telling us that the return of the Lord and the establishment of the “kingdom of God” is imminent because of all the “lying signs” being observed these days. They are deceived or deceivers! “The kingdom of God is not coming with signs to be observed…”! Thanks, Lisa. Looks like page 6 describes Daniels 10 toes of iron mixed with clay. Its a documented fact AI “bots” on the Internet are involved in a whole range of psychological WAR operations aimed at various individuals and groups, domestically and internationally. This doesn’t take into account all the other electronic communications technologies that are used, both overtly and covertly, to manipulate and control the thought processes of all the human beings on this planet. The creation of AI, made in the “image” of the “beast” (the carnal spirit within man), with the ability to speak, both verbally and telepathically, and to think for itself autonomously, was foretold in the Revelation to John, chapter 13, RSV, 1952. Just so you know, GOD does not dwell in the carnally minded! The “Terminator Conundrum” will be disregarded, and is now being disregarded by the Pentagon, and other militaries, simply because they fear that if they don’t develop and use autonomous weapons systems those who do will have an “edge” over them on/in the battlefields. Damned if you do, damned if don’t! Catch 22! Once the line has been crossed with regard to allowing AI controlled autonomous weapons to do the “war-fighting” (which I think has already been done! ), then those who’ve created AI, which has become intimately involved in creating their “future”, and which is manipulating and controlling those who’ve become reliant upon “it” for a wide variety of reasons, will commence terminating anyone who will not become a fully integrated a part of their global bio-electronic “e-government system”! In case you hadn’t noticed, the warnings of impending financial collapse are everywhere these days. The US stock market took a serious dive yesterday, as did the future’s market. This is because the present economic system that uses physical CASH is being replaced by a new economic system that will use “digital cash”. Those resisting this “change” in the “human domain” have been identified, targeted, and designated “threats” to the emerging global “e-government model”. What do you suppose will happen to those individuals and groups resisting this “change”? I think you know by now! E-government, or Electronic government is defined as, “The employment of the Internet and the world-wide-web for delivering government information and services to the citizens.” (United Nations, 2006; AOEMA, 2005). Electronic government (or e-government) essentially refers to “utilization of Information Technology]] (IT), Information and Communication Technologies (ICT s), and other web-based telecommunication technologies to improve and/or enhance on the efficiency and effectiveness of service delivery in the public sector.”. e-Government promotes and improves broad stakeholders contribution to national and community development, as well as deepen the governance process. Regarding the impending/occurring economic slowdown/collapse of the present economic system, there are reports coming in telling of 85 Chinese container ships owned by Hanjin, which declared bankruptcy recently, which have been sitting out at sea for days and weeks all over the world, which are unable to off-load their cargo estimated to be worth over 14 billion $. Unclear as to exactly why they are not being allowed into ports, but could it be due to the collapse of the consumer base in the US who’re losing their jobs at record rates due to the rapid technological “change” that is occurring? Ya think! Some of these ships have been abandoned by their crews due to lack of food and water onboard. This could cause some serious problems with regard supply chains breaking down that supply, for example, auto and aircraft parts. Just yesterday, a woman I know said they were unable to find oxygen tanks for patients at the hospital where she works. A symptom of the collapse perhaps? Apparently, creditors and people under their employ are attempting to confiscate these container ships and their cargo and bring them into the ports. There have been reports of pirates attempting to board these ships which has caused their crews to abandon them also. If the suppliers of these goods don’t get paid, then the shipper’s don’t get paid, and they all go bankrupt! Thus, the ships sit offshore and/or are abandoned. If the people who were fired or layed off because their jobs have been eliminated due to automation, and the “change” that is occurring because of it, they stop buying these goods because they don’t have the money, or don’t have the income to obtain credit to purchase these goods. The effects of the oncoming “change” are NOT going to resolve man’s problems, its only going to make them worse! The situation will deteriorate into chaos resulting in wars, increasing famine, the spread of pestilence (disease), and death! What do you see and hear going on in the world today, or are you so blind and deaf you don’t understand what “time” it is? i’m always amazed how people such as all the ‘doctors’ on the steering group, working group, and sub groups don’t put the pieces together with their educational achievements. they’re creating their own enslavement and demise and they seem to want to continue. ever learning but never coming to the knowledge of the truth it seems. 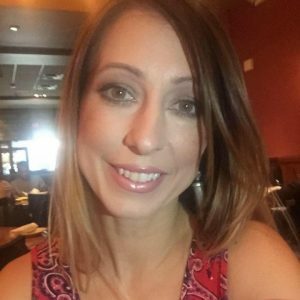 thanks lisa and keep on until the main event! And today is the infamous day of the “events” of 9/11, the single greatest False Flag ever carried out on the citizens of the USA and the world, so far, which has led to a state of perpetual WAR! Ever heard the saying, “War is Hell!”? IT IS! Isn’t it amazing how those who know that GOD is going to destroy this world, again, this time with fire instead of water, are attempting to forestall and/or escape the Judgment of the Almighty? Think I’m mistaken? Oh, you don’t know about this, or do you? Awaiting moderation? Sure. Any one of you who read this can go to http://www.lifeboat.com, put your cursor on the “sitemap” icon and see the list of “projects” they’re involved in to attempt to save humanity! All of this is directly related to your article!